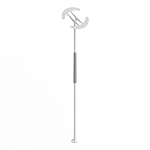 The Dry-Go Adjustable Wheelchair Umbrella Holder hands free umbrella holder has two large, adjustable clamps for different shapes and sizes of tubing and umbrella handles. 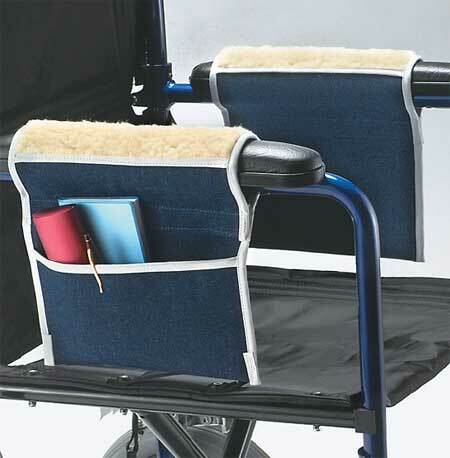 This easy to attach holder provides wheelchair, walker, mobility aids users protection from rain and sun. 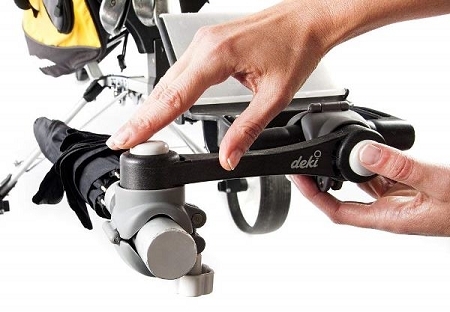 The Dry-Go Adjustable Wheelchair Umbrella Holder has a 2 easy to secure clamps for attaching the holding an umbrella securely, allowing the user to have both hands. 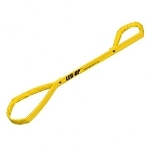 The clamps will fit vertical or horizontal, round or square tubing from 0.75 up to 1.5 inch diameter. 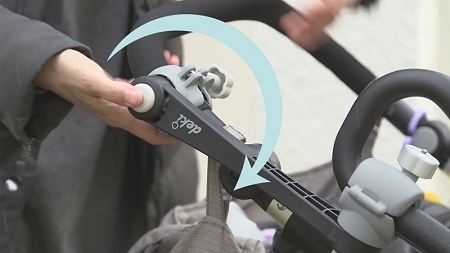 The adaptable clamps adjust for different shapes and sizes of umbrella handles. 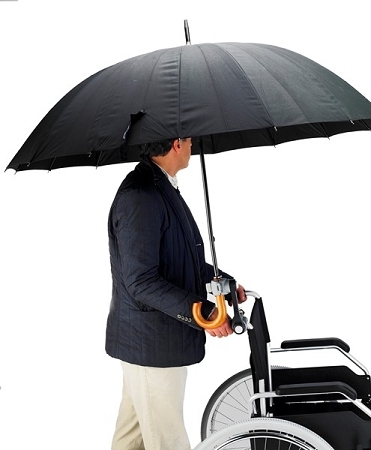 The angle of the umbrella can be adjusted by simply pressing the button. 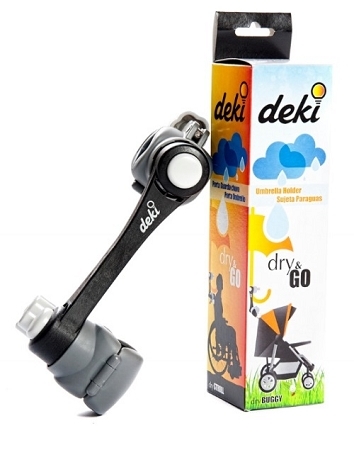 When in use, it swings up to hold an open umbrella. 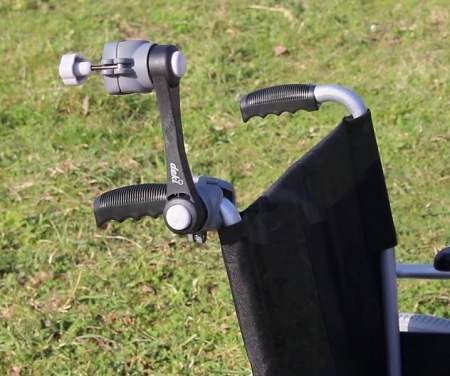 When not in use, it swings down to carry the closed umbrella at the side of the wheelchair or walker. 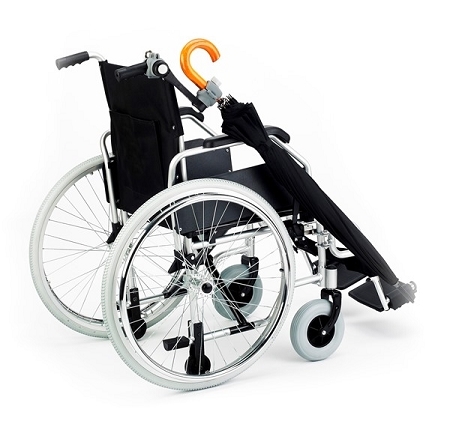 The Dry-Go Adjustable Wheelchair Umbrella Holder consists of a reinforced plastic bar with two adjustable clamps. 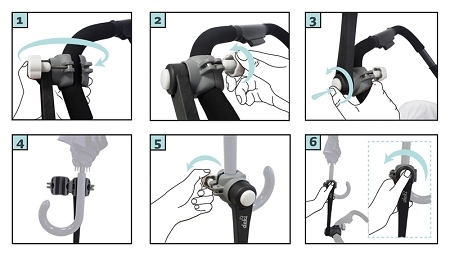 Each clamp has a push-button release for angle adjustments. 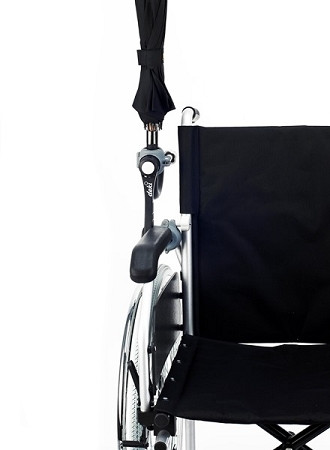 Rubber inserts inside each clamp prevent damage to the wheelchair tubing or umbrella. 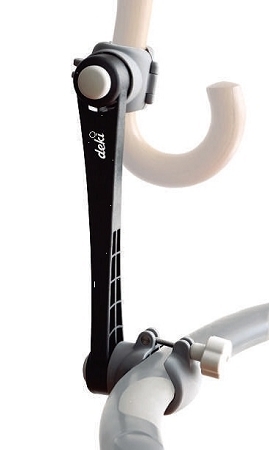 A thumbscrew hinges into place to secure the clamp around the wheelchair tube or the umbrella stem. 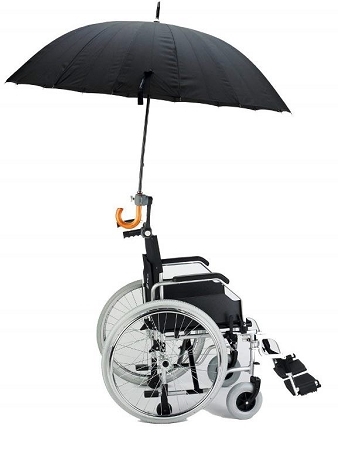 The Dry-Go Adjustable Wheelchair Umbrella Holder allows wheelchair and walker users to be protected from rain or sun while keeping their hands free. 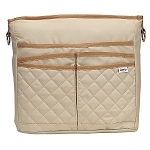 Dimensions: 12 inches long, 3 inches wide, 2.5 inches high. 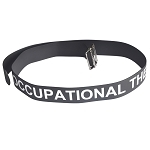 Fits: Horizontal, round or square tubing from 0.75 up to 1.5 inch diameter. Easy to install and adjust. Works great for me.